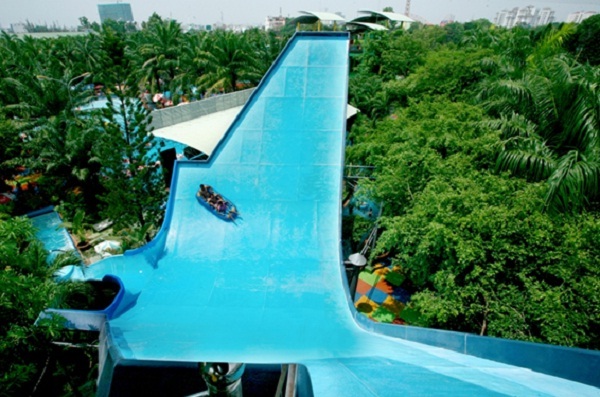 The water park consists of more than 30 types of game divided into various areas covering approximately 3,000m2. Coming to Dam Sen Water Park, you will feel as if being lost in a green oasis where is isolated from views outside with noisy streets and crowded rows of people. 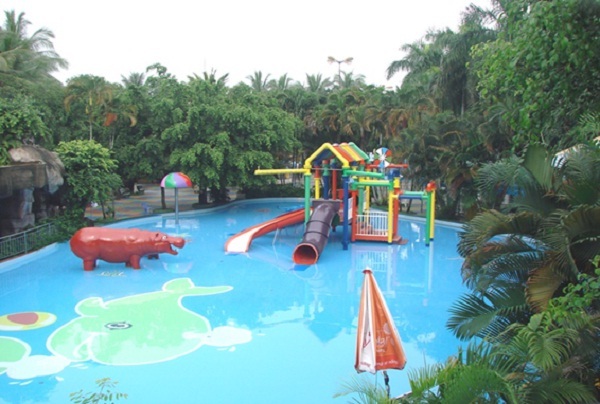 With different types of games, Dam Sen Water Park will satisfy all kinds of your needs and give you a truly relax holiday. The most favorite activities in Dam Sen are aquatic games such as water fountains, water slide which attract both adults and children. 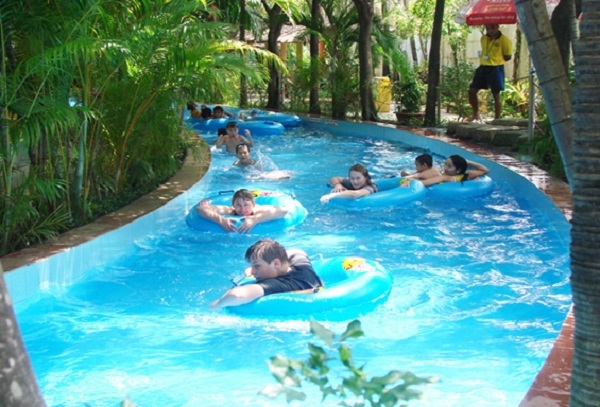 Besides, there are a series of water game places for kids. For those who just want to feel comfortable to relax, you could take a dip in Lake Massage, indulge in the gentle lake and enjoy the comforts. A lot of choices for a rest and makes your best spirit. 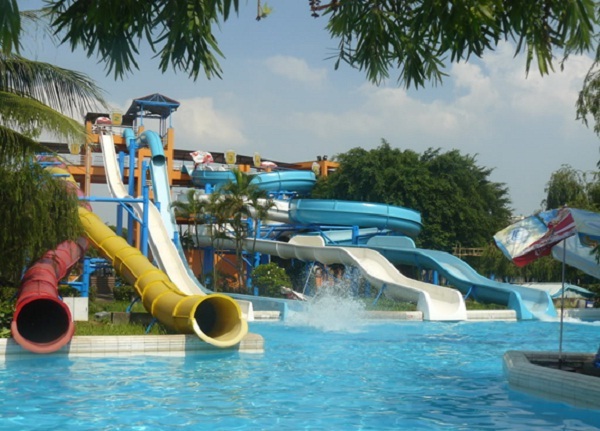 Traveling to Dam Sen Water Park, your safety are reassured with the water filtration system made from European standards and professional team being ready to support and bring the best care for you. Also, Water Park has a fast food store that is available to supply your source of the energy whenever you need to conquer any challenges and provide delicious meals for family in a whole day at the park. Only with a single ticket, you will have a meaningful holiday and happy time with your family.